Fas Fuel Winning Weekdays: Winning has never meant more with the new "Fas Fuel Winning Weekdays" promotion for the 2018-19 season. 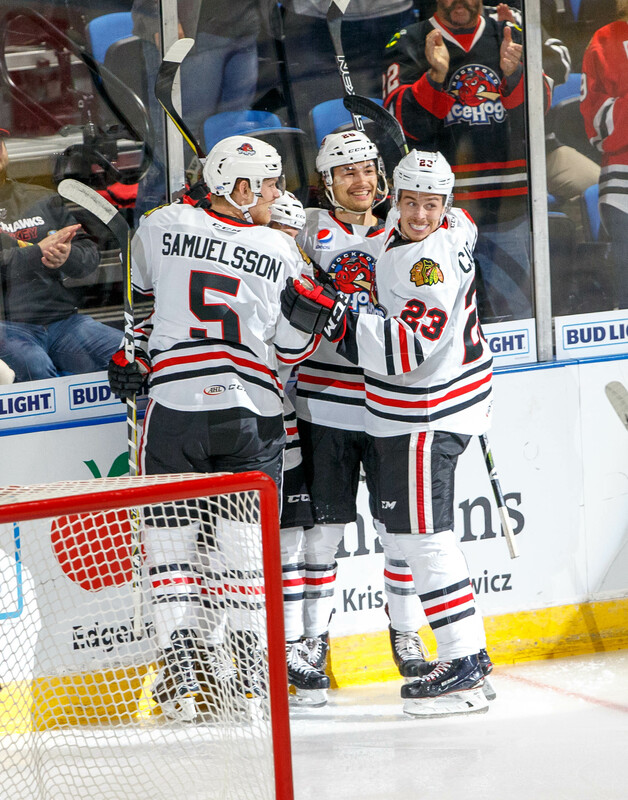 After every IceHogs home win Monday-Thursday, all fans in attendance can redeem their game ticket for a FREE ticket of equal or lesser value to the next weekday game. Additionally, one lucky fan at each weekday game will WIN a $50 gift card compliments of Fas Fuel. To redeem a Fas Fuel Winning Weekday ticket, please visit the BMO Harris Bank Center Box Office following the game or during normal box office business hours prior to the next weekday game. At all Tuesday games this year, fans can enjoy $2 tacos. At all midweek games, the Dental Dimensions Hog Heaven will feature the Gr815 Craft Beer Garden, where fans can take advantage of $5 craft beers presented by B103. Each Wednesday game this season is $2 Dog Day. For an additional $2, fans can bring their dog to the arena to enjoy IceHogs hockey. Proceeds from the dog admission will benefit local animal shelters. Hot dogs will also be available for purchase from concessions for just $2. At all midweek games, the Dental Dimensions Hog Heaven will feature the Gr815 Craft Beer Garden, where fans can take advantage of $5 craft beers presented by B103.